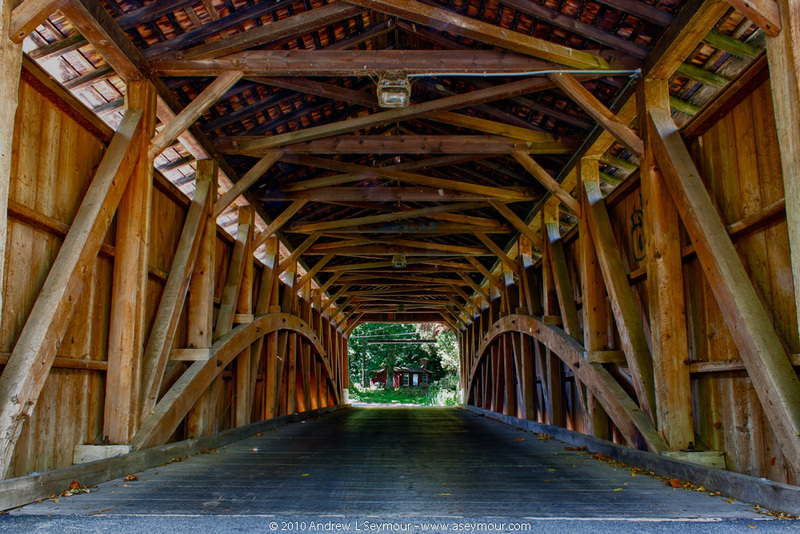 The category for Covered Bridges. 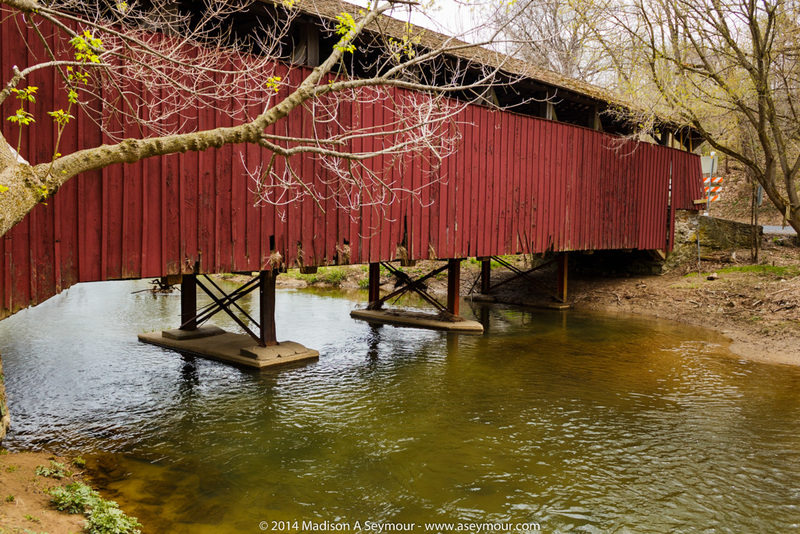 While I was out on a GPS drive yesterday, I found myself very close to Speakman #1 Covered Bridge, and having several hours before the kids got home, I decided to stop by and do a follow-up session. The last time I was at the bridge was back in 2010, and as I got closer, I started to notice signs saying the bridge was closed. This made me very concerned, especially since we’ve had several harsh winters since I was last there. 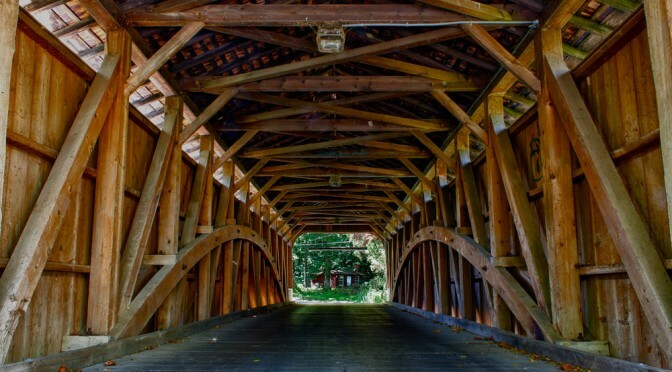 As I approached the bridge, I felt rather depressed when I began to see barriers in front of the bridge opening. 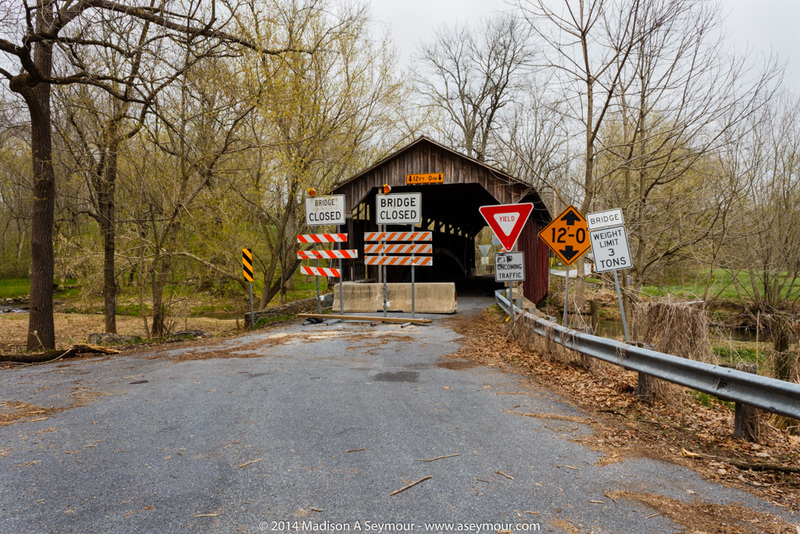 Bridge Closed signs at Speakman #1 in Chester County PA. While I was getting out of the car, I was wondering what kind of damage had happened, when I was shaken from my thoughts by a man in a pickup truck. 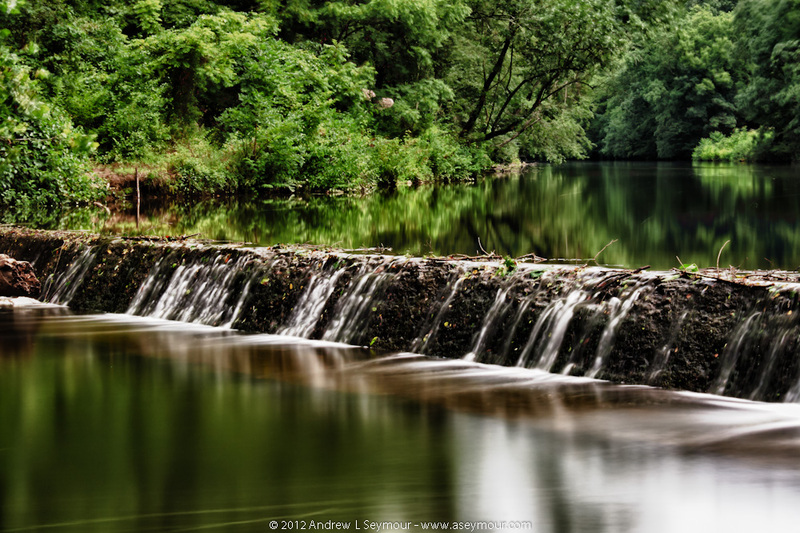 He asked if I was fishing to which I raised my camera. The truck pulled into the area in front of the bridge and the man got out and started chatting about the bridge in general. I explained to him that the last time I’d been down here was in 2010, and that I was rather shocked to see the general appearance of the bridge. 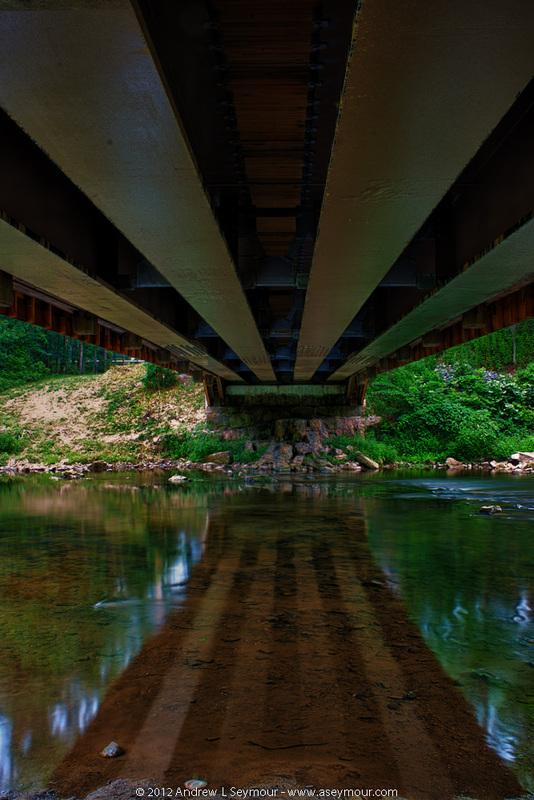 At this point, Lawrence introduced himself and said the bridge had been closed for about two years due to damage by a truck hauling steel plates through the bridge. 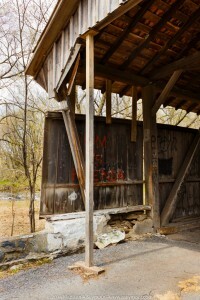 Truck damage to Speakman #1 covered bridge in Chester County PA. 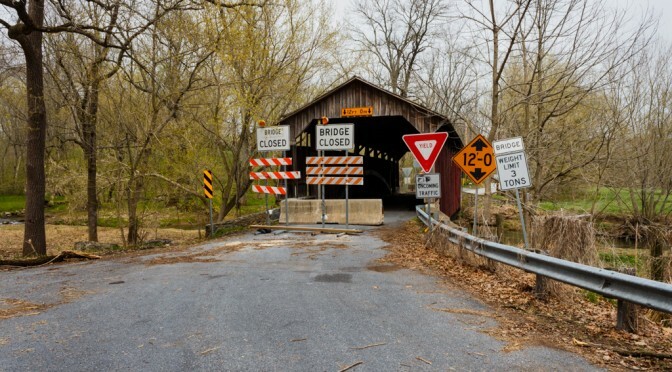 Apparently, a driver was heading southbound on Frog Hollow Road, when a steel plate shifted as he turned right onto Covered Bridge Road, severely damaging the South West entrance post. 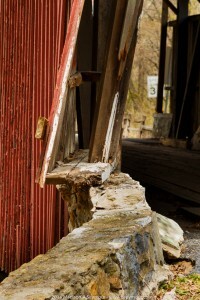 Lawrence continued to tell me stories about the local area and the bridge as we walked around, inspecting the damage. In this picture, you can still see some of the fire damage cause by some local boys. 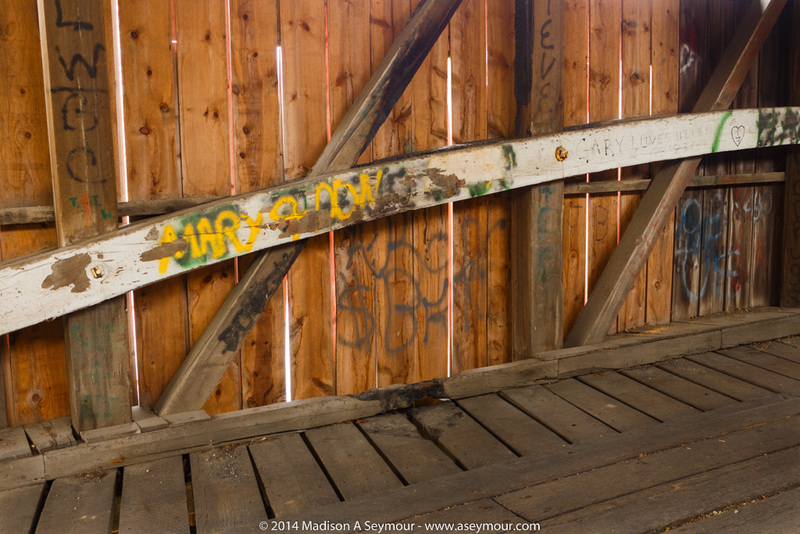 Notice the char in the diagonal crossbeam. 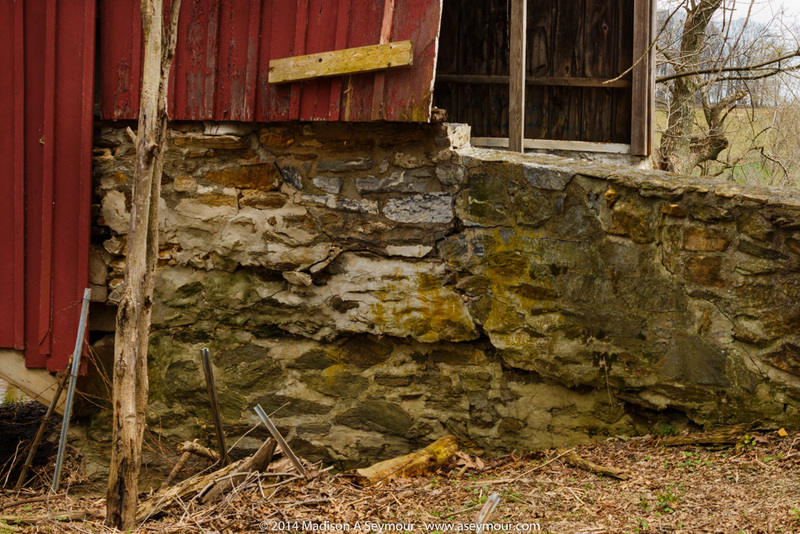 Arson damage at Speakman #1 in Chester County PA. – Notice the ‘new’ siding. 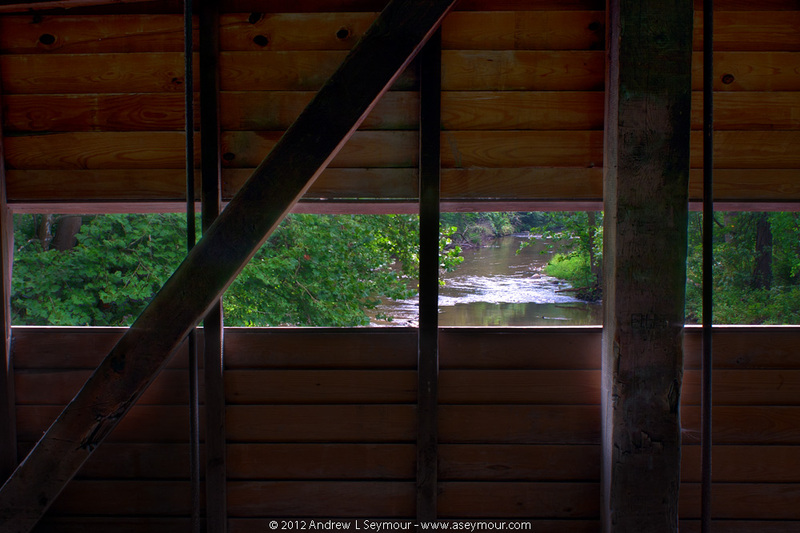 From the outside, looking upstream, you can see the boards that were replaced. 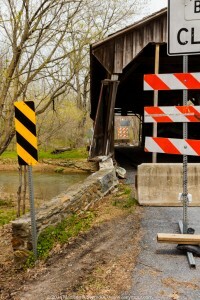 I asked when the bridge was going to be fixed, but that remains to be seen. 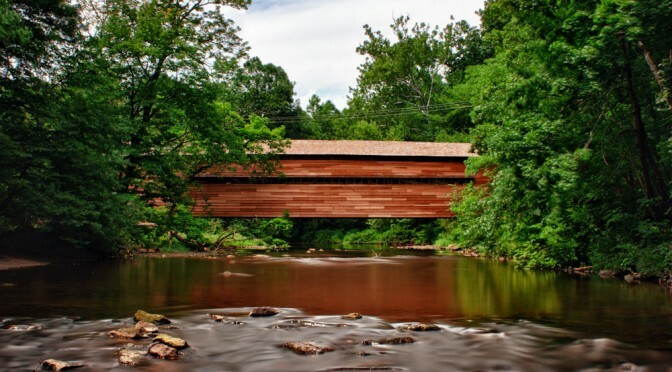 There appears to be an argument between the local townships and the state about who is going to pick up the restoration cost. 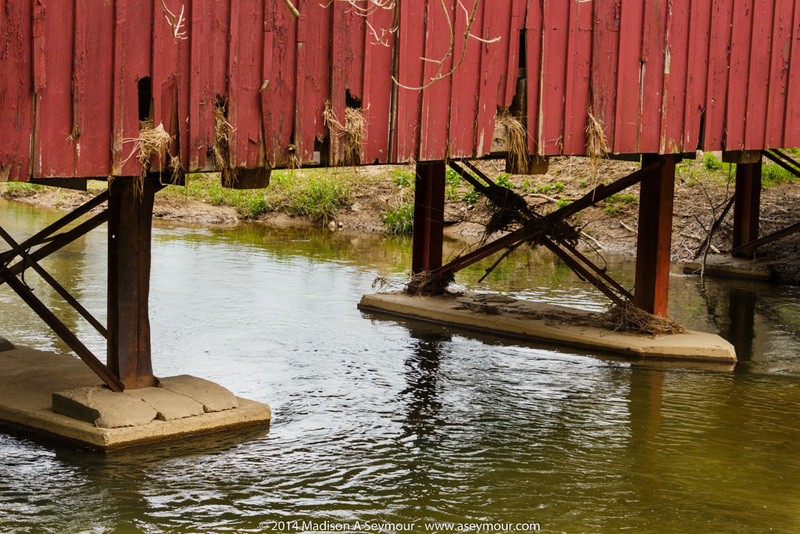 When you go to the upstream side of the bridge, you can see where the tall grass has gotten stuck between the boards during several recent floods. 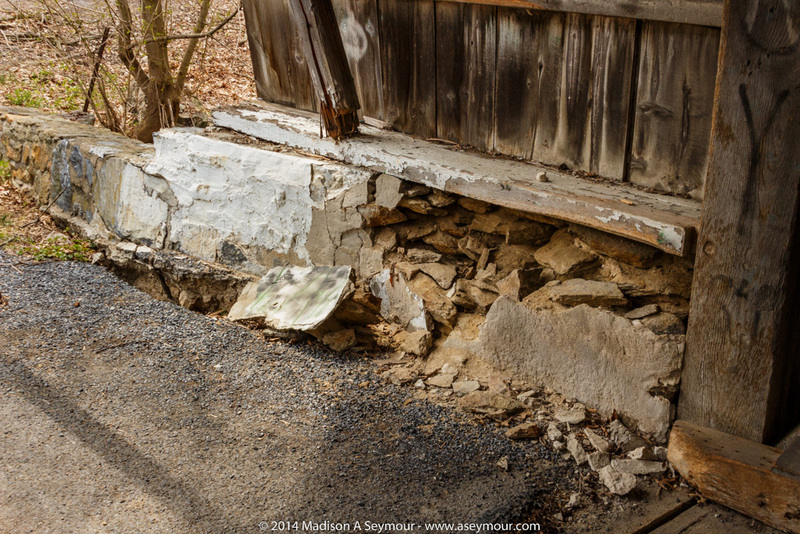 Flood damage to Speakman #1 covered bridge in Chester County PA. If you look very carefully at the above image, you can see how the left vertical steel I-beam is bent from all the ice and trees hitting it. 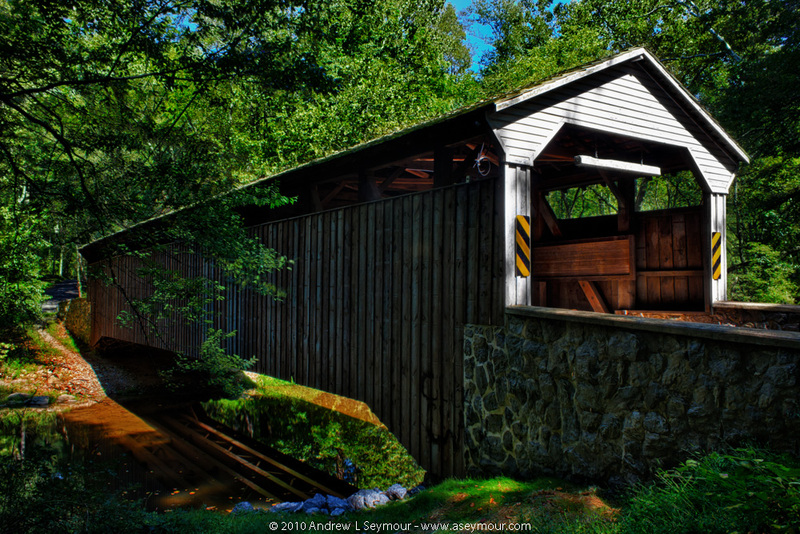 Needless to say, it is easy to see that Speakman #1 Covered Bridge needs some major restoration if it is going to last into the future. I hope by posting these images, I can make other people aware of what needs to be done. If you have any contacts, please let me know! 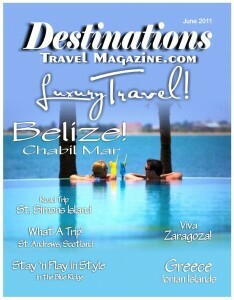 The June issue of Destinations Travel Magazine has just been released! 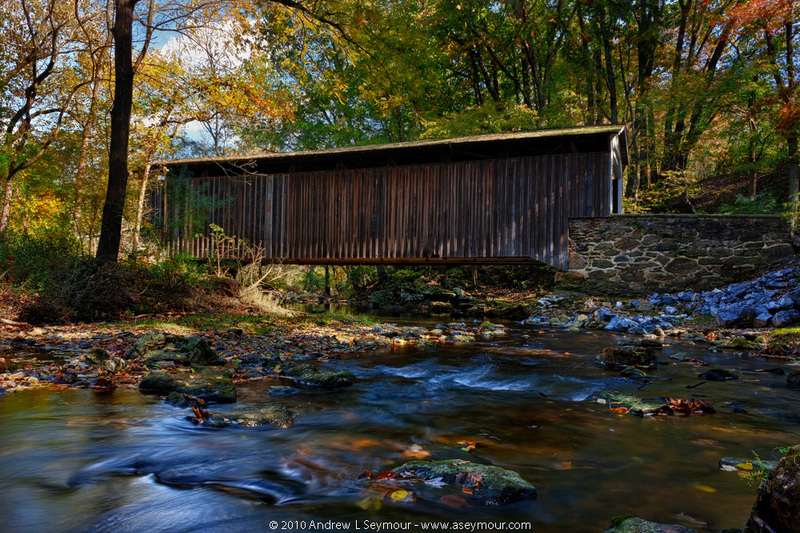 This concludes the third and final installment of Covered Bridges of South Eastern Pennsylvania. 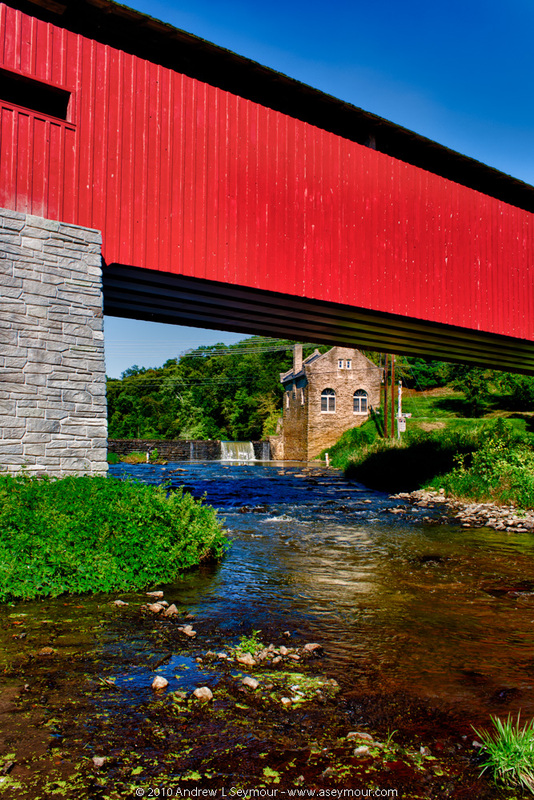 I would like to thank the folks at Destinations Travel Magazine, especially Darlene Perrone for taking the time and effort to include my photography work in this wonderful publication! 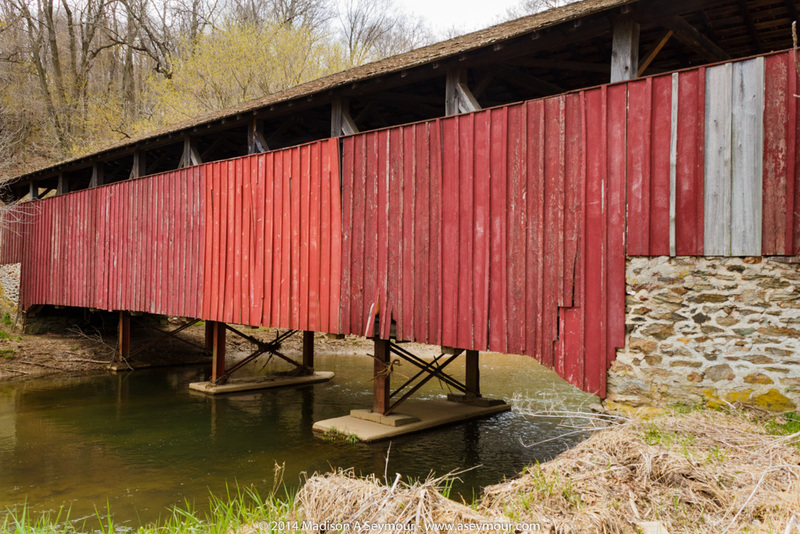 Looking into the future, it is my hope, that this summer, I will get the time to further find and explore the Covered Bridges in Lancaster County, as well as those in Delaware and Maryland! 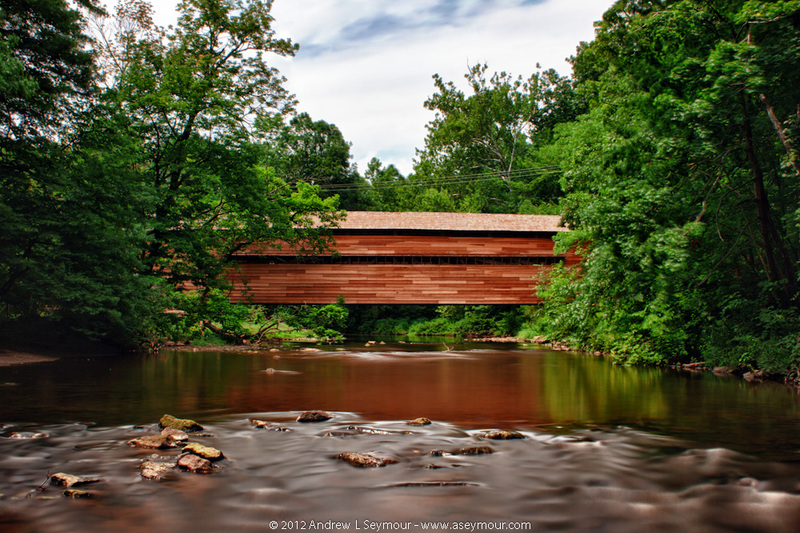 Thanks again for all the support that I have received and I look forward to bring you more images of these wonderful Covered Bridges!